Packaging Details : We usually pack each rope into poly bag and several poly bags into an inner carton and then these several inner go inside one master carton making sure the product is safe, Alternately you choose packing according to your need and want. Owing to our timeliness and hassle free deliveries, we have become the primary choice of the buyers. 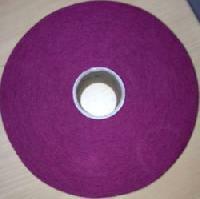 Operation from Delhi(India), we make available the broad product range to the customers in minimum time. We assure purchasers that our entire range is subjected to stringent quality policies to meet industry standards. Based in Coimbatore(India), our organization caters to the numerous requirements of the customers related to our products. 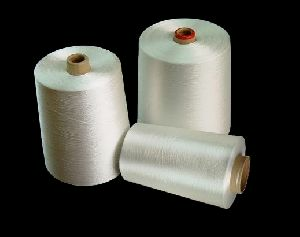 The ring spun yarns offered by us are available in different variants like Ne 30/1, 40/1 in single and TFO yarn in double. 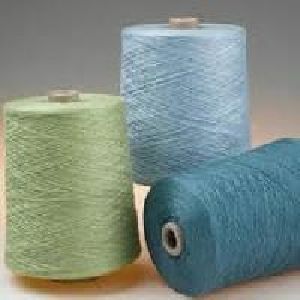 Since we have years of knowledge, our organization has arose as foremost suppliers of Synthetic Yarn We are a quality-conscious firm and for ensuring high quality of the products, we dedicatedly work in tune with the defined industry standards. 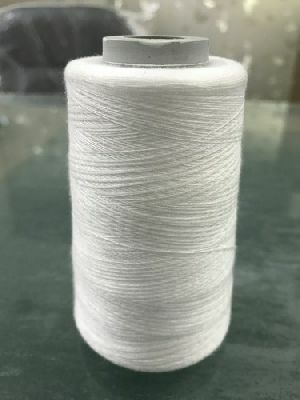 1) Polyester Viscose, Acrylic Polyester, Linen Cotton, Viscose Silk, Polyester Wool, Acrylic Wool and other Blended Yarns for specific requirements. 2) Counts Ne 8/1 to Ne 80/1 in single double and multiple ply. 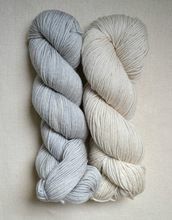 3) Dyed, Melange and Raw White Yarns. 4) In 50:50, 70:30. 52: 48, 60:40 and other specific blends as per specific requirement. 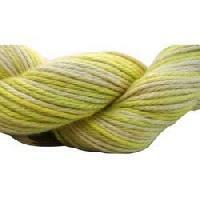 5) Ring Spun, Air Jet Spun and Open End Yarn. 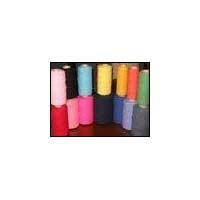 Sundhamatay Namah Texfab Private Limited is the one stop destination for high quality Synthetic Mono Yarn . 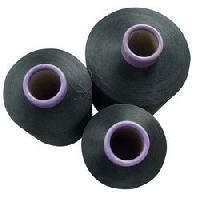 We are one of the specialized Manufacturers & Suppliers of Synthetic Mono Yarn. Our product is well tested on quality standards, thus it renders impressive performance over a long period. 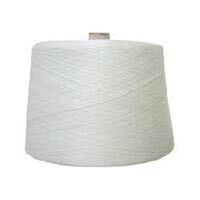 We offer Synthetic Mono Yarn at competitive market price. 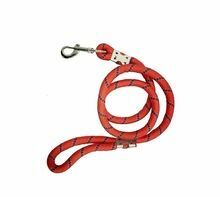 Ours is the largest base of manufacturers and exporters world wide. 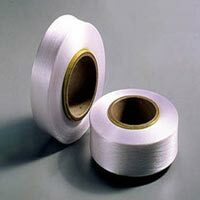 Here is your one-stop on-line source for a wide range of polyester synthetic filament. 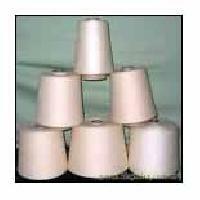 Our polyester synthetic filament is much savvier in terms of money. 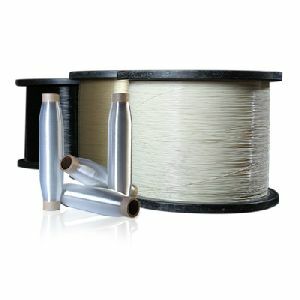 Find great Deals on Polyester Synthetic filament. 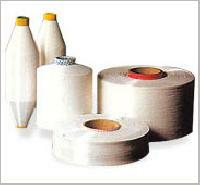 Our product will surely improve your textile manufacturing performance. Priyanka - Navkar Industries Ltd. Since beginning our philosophy was to provide a novelty product at an affordable price. 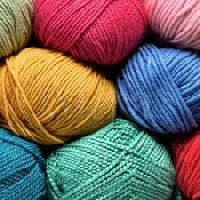 Passion for yarn has made the company a trend setter in the industry. Our dedication is to provide top quality, timely delivery to all our customers who lay their trust in our integrity and fair business practices. 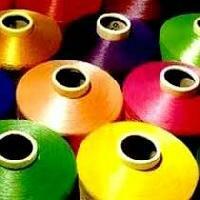 Our synthetic yarns and threads are used for Industrial Stitching purpose in diverse industries ranging from Fertlisers, Food Grains, Foot Wear, Filter Fabrics and other allied industries. 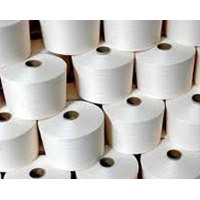 Due to our vast experience in the synthetic spun yarn industry, our product offerings are very diverse and the production of the same is of very high quality. 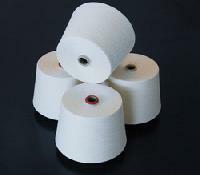 When it comes to premium quality Synthetic & Blended Yarn , then K. U. Yarn Pvt. Ltd. is known as a one stop destination to obtain the same. 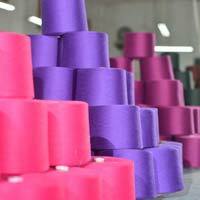 We have carved a niche for ourselves in the global markets as a reliable Manufacturer, Exporter, and Supplier of Synthetic & Blended Yarn. 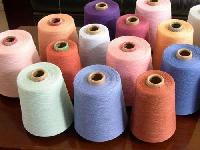 Our Synthetic & Blended Yarn is preferred for its matchless strength and fine quality. K U Yarns Pvt. 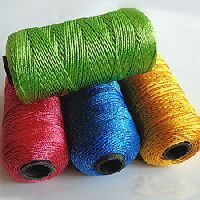 Ltd.
We are renowned exporter of synthetic yarns and have a wide array of yarns like polyester , rayon , acrylic yarns etc. 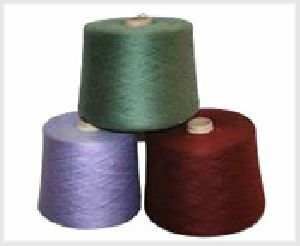 Our yarns can match any color fastness requirements and are manufactured using the most stringent of International quality parameters.